Can Vaseline Stop a Cold Sore Scab from Cracking? » Can Vaseline Stop a Cold Sore Scab from Cracking? 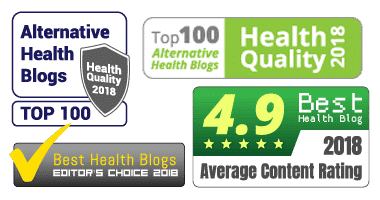 Will Vaseline Reduce Cold Sore Pain? Will Vaseline Heal My Skin Faster? Will Vaseline Infect an Active Cold Sore? How Often Should I Apply Vaseline to My Cold Sores? Will Vaseline Spread the Cold Sore Virus? Can Vaseline Cause Cold Sores? Vaseline jelly will moisturize chapped lips and dry skin around the mouth/lips. For this reason, it can help to prevent a cold sore scab from cracking. It forms a water-protective barrier, so Petroleum Jelly can keep your sores and scabs moist. Vaseline is not a medicated cold sore lip balm. It has no active healing ingredients and won’t get rid of cold sores faster. 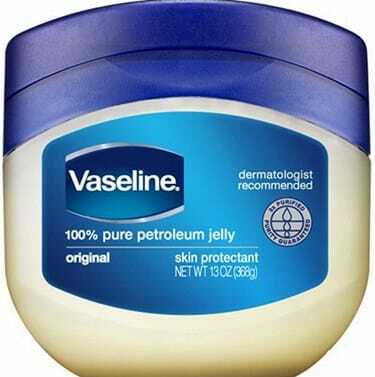 It is best to view petroleum jelly as a generic lip balm that can stop your blister from drying out. It neither prevents or causes cold sores. Vaseline doesn’t provide any protection from ultraviolet (UV) rays, but it it is a sealant that helps with the prevention of chapped lips during the bitterly cold winter months. We will now look at the ways that Vaseline petroleum jelly can be beneficial and why keeping the skin moist is so essential. We’ll also provide information on medicated lip balms that can keep cold sores away during extreme summer and winter weather. Keeping a cold sore moist is crucial because it protects the skin from cracking (and developing an infection). Moisture is one of the many reasons why the majority of OTC treatments come in cream or gel form. While drying out a sore with rubbing alcohol or salt (sodium chloride) can get rid of a blister more quickly, many potential complications can arise. Blister cracking, infection, bleeding, skin damage, and scarring are among the potential problems that can arise. Vaseline is not medicated. It is potentially a cold sore prevention method and a protectant. While it is not meant to heal your sore, it can help in the healing process by acting as a defense mechanism. It can shield your sore from the elements. If you carry HSV-1, the use of Vaseline is most effective during the times when an active sore is NOT present. While petroleum jelly will not serve as a healer, it can potentially prevent sores. Vaseline isn’t a treatment. However, applying it to an active sore (scab stage) may help to protect your blister. Creating a barrier against infection is essential. If you have decided to let your sore(s) heal at their own pace, this could be beneficial. Similar to lip balm, Vaseline can act as a lip protectant. This can come in handy when facing cold weather conditions, in particular. Because it is not medicated and has no numbing agents, it will not actively reduce your pain. However, providing a shield of protection can help. Petroleum jelly can potentially prevent agents from entering your sore that could eventually lead to pain. This is similar to that of lip balm and virtually any form of genetic lip protectant. Vaseline will not heal your sore (or skin) faster, but it can keep the condition from getting worse. Given that petroleum jelly only keeps the skin moist and healthy, it is unable to heal any skin-related ailments. While it can indirectly help by fending off dryness and chapping, it does not contain active healing ingredients. The semi-solid hydrocarbons mean that it is only a water sealant. Think of petroleum jelly as a moisture barrier. It is not what it does that matters but rather what it keeps at bay. Vaseline is not a healer of the skin or cold sores. However, it can protect vulnerable areas from harm (or additional harm). This can come in handy when you are trying to protect your cold sore from bacteria and germs. This is the most notable reason to steer clear of Vaseline. The protective qualities of petroleum jelly could potentially backfire if the entire blister is covered and not able to get air. Vaseline is not medicated, and it is very thick. That globby thickness can clog your skin. This could result in delayed healing. Although the general protection is in place, you might suffer in the long-term. Vaseline can be applied to your fever blister when you feel it will be beneficial. There is no right or wrong time for application. A tiny dab is more than enough. There is no need for large build up but a thin coat of coverage. The last thing you want is a glob of petroleum jelly resting on your lip in a public setting. Never cover your blister with Vaseline if your blister needs air to breathe. Keeping it covered for the majority of the day could be harmful. The likelihood of petroleum jelly spreading the cold sore virus is low, but it remains possible. The fact that Vaseline has a thick consistency could allow the jelly to become contaminated. If this were to occur and then contact an open portion of skin, a viral transfer could take place. Applying Vaseline with caution is important. This is a further example as to why a thin coat is all that you need. Limit petroleum jelly to the problematic area. This decreases the probability of viral transfer to other areas of the face. Vaseline is unlikely to spread the cold sore virus provided that you’re sensible. Petroleum jelly must only be applied to the sore itself and not the entire lip. Due to Vaseline’s thickness, infected saliva, for example, could become trapped within the substance. The spreading of Vaseline could spread the virus to other areas of the face and lips. Cold sores arise due to the activation of the herpes simplex one (HSV-1). The presence of a substance on your lips will never introduce a virus. Petroleum jelly could trigger your fever blisters. While this is not likely, Vaseline could irritate your lips or cause an allergic reaction. This would hold true for chapsticks and lip ointments. Something such as a lip gloss could introduce questionable ingredients, textures, etc. Except for an OTC cold sore treatment, any substance placed on your lip could cause an outbreak. This is something to be mindful of as an HSV-1 carrier. Always take care of your lips and never introduce substances that you don’t understand just because you read it somewhere online. Vaseline won’t cause a cold sore in the literal sense. Fever blisters are due to HSV-1. If you carry HSV-1, be mindful of what you place on your lips. Even lip balms can irritate the mouth and lips as the area is more sensitive than most areas of the body. Yes. Especially if you are looking for a lip balm or salve that is medicated. While Vaseline can serve a purpose, it will never hold a candle to a legitimate treatment solution. Noted below are just a few items you can apply to your lips for both protection and treatment. Many are not only designed to heal cold sores but also protect your lips from harsh weather conditions. Herpecin-L Lip Balm Stick. This selection is SPF 30 which means that it is a good option when you are in the sun. Petroleum jelly will keep moisture in your sore and protect your lips from an outbreak. However, Vaseline is not medicated and contains no active ingredients that will treat your cold sores. If you are searching for legitimate cold sore treatment, FDA-approved options will always be the best course of action. Vaseline and similar products should only be viewed as ‘helpful’ and nothing more. Do not expect healing results from a product that is not medicated. Czarnowicki T, Malajian D, Khattri S, Correa da Rosa J, Dutt R, Finney R, et al. Petrolatum: barrier repair and antimicrobial responses underlying this “inert” moisturizer. J Allergy Clin Immunol. 2016;137:1091–1102.e7. De Clercq E, Li G. Approved Antiviral Drugs over the Past 50 Years. Clinical Microbiology Reviews. 2016;29(3):695-747. doi:10.1128/CMR.00102-15.